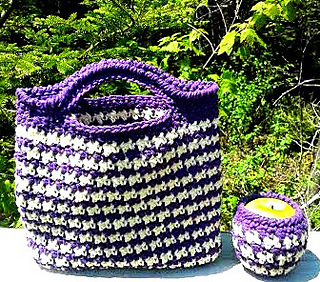 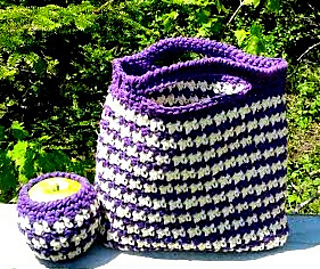 Crochet lunch bag and matching apple cozy. 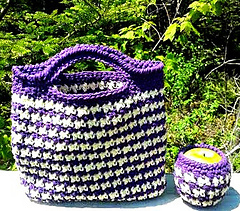 Material used is cotton yarn which makes this set totally washable. 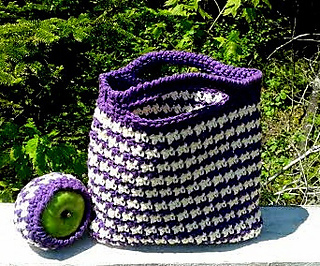 No need to use a plastic bag to carry your lunch :-) Keep your apple protected in this cute matching cozy. 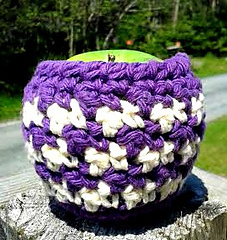 The pattern is pretty, easy and fast to make up and make great gifts.